Posted on April 1, 2019 by Dave Smith. When your side by side refrigerator door won’t close, replace frustration with strategic tips and tricks to troubleshoot the issue. Keeping doors closed is paramount to maintaining proper refrigerator temperature. Check out the list of what to do when your refrigerator door won’t stay closed. Side by side refrigerator door won’t close? I hate that. The good news is, a few simple checks may solve the problem. Is Something Blocking the Refrigerator Door? Yep. It’s easy to overlook in the wake of frustration, but when your refrigerator door won’t close automatically, it’s often because a drawer isn’t shut all the way, or a shelf item needs to be adjusted. If your side by side refrigerator door won’t close, check the items in the fridge, including the drawers, to ensure everything is fully contained on the shelves and out of the way of the door’s path. Reposition anything that is butting up against the door and preventing its full closure. Is the Refrigerator Door Gasket Damaged? Is the refrigerator door still not closing? It could be the door gasket. 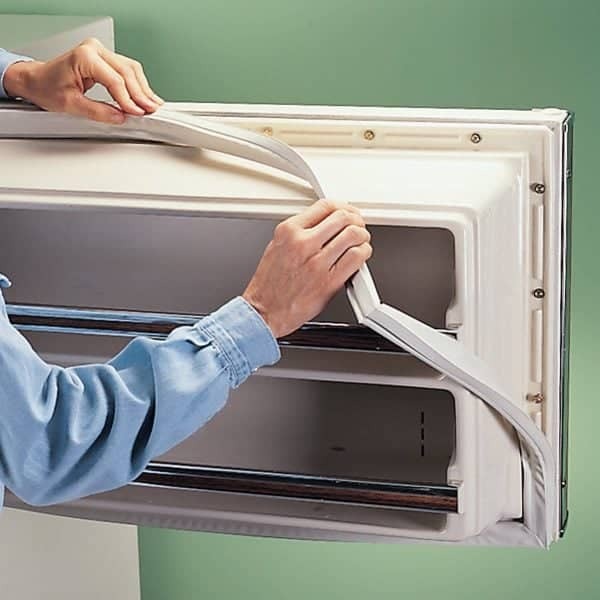 The door gasket provides a tight seal around the refrigerator door to keep cold air in and block out ambient air. When this seal is old and worn out or otherwise defective, it may not seal tight enough to even keep the door closed properly. Is the Refrigerator Body Misaligned? The actual body of the refrigerator has legs at the bottom that are designed to adjust and ensure the refrigerator is level. Didn’t know that? You’re not alone. Misalignment of the refrigerator will negatively affect its performance and, especially over time, prevent the door from opening and closing the way it should. Grab a level and set it atop the refrigerator — not on the door, but on the body of the fridge. If the bubble is not centered on the level, then adjust the refrigerator legs until the bubble is centered. Is there Something Wrong with the Refrigerator Door Hinges? 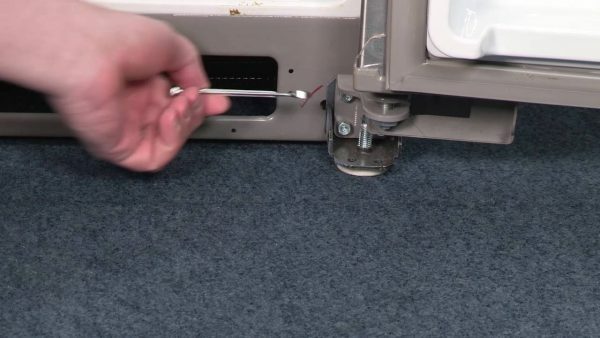 Even when your refrigerator has been carefully leveled, door hinges can become misaligned over time. To determine if this is the reason your side by side refrigerator won’t close, open the door and place the level on top of the door frame. If the bubble is not centered, the door hinges have likely shifted. Readjusting or replacing door hinges is a bit tricky; not exactly a task for DIY novice. If you possess a fair amount of handiness, then grab a capable helper and give it a whirl. If your side by side refrigerator door won’t close but DIY projects are not your thing, let Dave Smith Appliance Services take care of the refrigerator service- our professionals are equipped to handle the jobs both big and small. 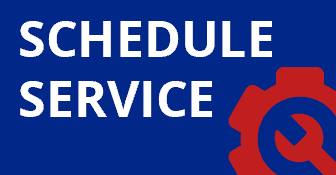 If you have a home appliance that is in need of repair, like an oven, refrigerator, dishwasher or laundry machine, then schedule an appointment online with one of Dave Smith Appliance’s expert repair technicians today. I can’t remember names well but both the operator who called and the service tech were very professional and helpful. Excellent service, would highly recommend Dave Smith’s They truly want their customer satisfied. Very Knowledge able, great doing business with you! Thank you so much you had the right parts. The tech had our dryer fixed/repaired in a timely manner. Excellent Service!!! Thanks Again. Consumers Energy just sent them out. They did a good job and I have no complaints. My fridge is operation smoothly again. Thank you. Nick was very kind and courteous. You will have a repeat customer if the occasion arises. He took the time to show me how to keep the coils clean in my refrigerator. Thank you Again. Thank you so much for your speedy and efficient service. I will recommend you to all friends and family. Your work is done promptly, efficiently and at a fair price. I would recommend you to anyone who needs repair don on their appliances. We have used Dave Smith’s services for years including Dave’s solo business. We are always pleased with the prompt response including the friendly staff, the professionalism of the technicians and the reasonable prices. Most recently mike worked on our washer and diagnosed the problem to save the cost of buying a new washer. Thanks Dave Smith Appliance! The technician was very polite and explained everything. I was very satisfied and would definitely have you again to service my appliance. Mike was good as having Dave do the repair. Very friendly and professional technician, he knew his products and he taught me a few tips. I will recommend Dave Smith Appliance Services. I got to meet this guy, Dave. I am impressed with every person I encountered with his business these last two days. I highly value good service and all of you delivered. I was very satisfied with your technician’s knowledge and personality. I will recommend our company to anyone that needs services on any appliances. I felt that he was excellent in repairing, friendly, and especially on time! From the office person who answers the phone to both Dave and Mike, we have been very satisfied with your service. Was very satisfied with everything!! We could not have had any better service! Thank You So Much! Our services man was great! Didn’t catch his name, but tell him to keep up the good work! 5 stars on everything! Would not hesitate to recommend your services. Dave was very friendly and knowledgeable. Nick was awesome. Very Friendly and professional. Clean and efficient. The rep who answered the phone was helpful in scheduling a repair prior to a family reunion. Very Friendly. Was here twice in a week as my washer and dryer shut down a week apart. I appreciate time bracketing your do so I did not need to wait at home all day. The technician who installed the part in the dryer hooked up the vent, better that I did, and it wasn’t – Nice Added Touch. Called in and got immediate response and schedule, Thank Heavens. Can’t say enough for Jim’s pleasant manner. Every aspect of our experience with Dave Smith Appliance Services was very satisfying. Your company was prompt about scheduling an appointment and informative as to when we could expect someone to be here. Mike was our service technician, was prompt and on time and provided excellent care in servicing our refrigerator. While here and working he was very cordial, provided helpful information regarding the care and maintenance of other appliances as well as the refrigerator, and the result couldn’t be more satisfactory. We would definitely recommend your company and appreciate the fact that we can rely on a locally owned business that we feel we can trust. The window of time needed to stay home is very lengthy while waiting for service… an actual appt. time would be helpful since people are so busy. Other than that, the service is GREAT, which is why I am a repeat customer. Jim was friendly informative and answered all question knowledgably and efficiently. He made sure everything was fixed to my satisfaction. Thank you. The service out to our house was very efficient. The job was completed in a timely manner and we’re very satisfied with Mike’s work and knowledge of the appliances. Appreciate your honesty and efficiency. Very professional. I explained the problem and within minutes he diagnosed the problem with my washer. Sorry to say I need a new washer but Mike is the reason I will call back in the future. We had Jim as our technician, he was professional and fast. Dave Smith Appliance Services were able to diagnose the problem fast and professionally. Our technician, Jim, did a great job of explaining his process and checked to see if we needed any other appliances fixed or repaired. Very satisfied with everything!! Nick did a wonderful job. Nick was very helpful, he was able to solve the problem and get it fixed very quickly. He was also very professional and friendly. I had a great experience with Dave Smith Appliances and would recommend them to others. They were able to answer all my questions, set up an appointment convenient for me, and found a solution to my problem very quickly. I would recommend them to anyone. I will not hesitate to recommend your company. Very Pleased! Five Stars on Everything!! Thank you for the fast, professional service we received as first time clients on our dryer repair. I’m so appreciative of your efforts of timeliness and efficiency. Customer Review by Ronn Koester from Angie’s List about his appliance repair services reported on May 3, 2012. Description of Work: Worked on front-loading washer. Stated that if the repair did not fix the problem would return and fix it for the difference in cost of a more expensive part only. Member comments: No problems. Work completed on time. Mike found my line froze up and took everything apart and thawed it out, He even instructed me on how to do it. The cost was very reasonable and i wouldn’t hesitate to use them in the future. Mike has come to our house twice in the last couple of months, once to fix the dishwasher and the second time to fix my dryer. Both times he was efficient, friendly, and helpful. They both work like new! I am always so happy to find dependable businesses for home repair. We also had same day service both times we called. Thanks! Dave came out to fix my refrigerator/freezer. This was after I had had another company out to supposedly fix the problem. Dave was very knowledgeable and thoroughly explained the problem and solution with me. My refrigerator is now operating better than it has in a long time. I have their number on speed dial now. I highly recommend David Smith Appliance Service and will definitely use them again in the future. Thank you. I am new in the area and after searching online for a repair service for my refrigerator, I chose Dave Smith Appliance Services because of it’s great standing from the Better Business Bureau. I was NOT disappointed. From my first phone contact with Ruth and then the prompt and professional service from Mike it has been a very good experience. I would have thought both of these employees were the owners of this business just from the professionalism they showed. It’s obvious they love where they work and what they’re doing. Four stars and two thumbs up to Dave Smith Appliance Services. You’re doing a fantastic job, Dave! Wonderful Company….I didn’t have any idea who to call to fix my refrigerator. Called ” Dave Smith Appliance Services” and one other place.. The lady who answered the phone at Dave Smith’s was very kind, answered all my questions, and was very confident about the company… so I chose them… they were out within a half hour, fixed the appliance, cleaned up after themselves and were out the door… the service tech’s were very professional. I am very particular about who I let in my home. I talked to them in the driveway before letting them in…they put me at ease immediately…”Dave Smith Appliance Services” will be doing all of my repairs and all of my friend repairs…OUTSTANDING!! Dave Smith is very honest and very helpful because he came right out when I needed him; he always does. I have had him out a dozen times. We had the unfortunate experience of our refrigerator completely stop working… I contemplated going out and purchasing a new one when a friend of mine referred me to Dave Smith Appliance. They were very kind and courteous and professional. The one thing I found to be most helpful is they actually showed up when they said they were going to… both visits! I would highly recommend them to anyone looking for a dependable and fair company for appliance repair. Thanks Dave for saving me money with the repair (rather than going out and purchasing a new refrigerator). We will definitely be contacting you the next time we need your services. He found the problem within minutes and had my refrigerator fixed. The parts were on the truck so I didn’t have to wait. He also educated me on a possible recall on my stove and told me how to check it out. Will definitely call them again.